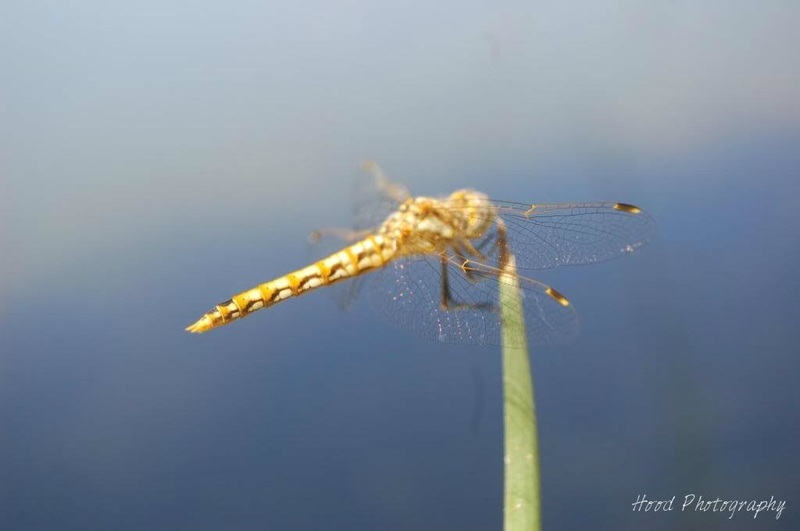 I just love dragonflies. They are so delicate, and their wings are so detailed. At Trillium Lake, they were flying around everywhere. There were yellow ones, like this guy. But I also spotted green, brown, and blue ones. Beautiful!!! I love how he's just hovering there, barely touching the blade of grass. The wings are so lovely - like a finely woven mesh. Thanks for sharing. Great shot . . . so much detail on the tiny dragonfly! I love them too and they are so difficult to capture because they are so fast. The details are amazing. Fantastic photo. MAGNIFICENT CAPTURE!!! Bravo!!!! They are beautiful creatures aren't they? I love them. And they are so BIG up here too. Wow!! Amazing detail, really beautiful shot! Nice shot! Those guys don't hold still too long! They are such beautiful insects. Great shot. They are beautiful creatures and rather difficult to photograph.